ATHENS, Greece Unemployment in debt-crippled Greece rose to a record of 26 percent in the last quarter of 2012, as austerity measures combined with a deep recession took a harsh toll on the workforce. The figures were worse than the previous quarter's 24.8 percent, and 20.7 percent a year earlier. The national statistical authority said Thursday that 1.29 million people were out of a job in October-December 2012. In the under 25 age group, unemployment was 57.8 percent. The rate for women was 29.7 percent, compared with 23.3 percent for men. 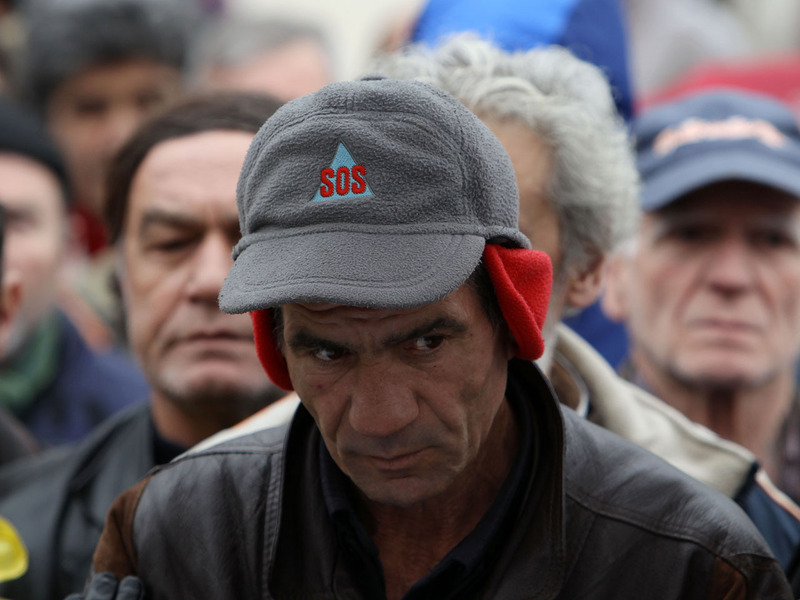 Greece's economy has been falling apart over the past three years, savaged by its financial crisis. The country is surviving on international rescue loans, released on condition it keeps up a tough program of spending cuts and tax hikes.